One hundred and forty applicants attended the International School of Beijing's (ISB) first Teacher Recruitment Fair on Saturday. Further swelling the ranks of excellent teachers ISB can draw upon to ensure great learning for its students, the event was hosted on campus to identify top talent and showcase the school's campus, its staff, students, and ethos to those interested in joining the community. The applicants came from Beijing, China, Southeast Asia and further afield to be interviewed for positions and get information on the school. Facilitating contact between applicants and lots of different members of the ISB leadership team, it was a chance for ISB and its senior staff to hone their recruitment practices. 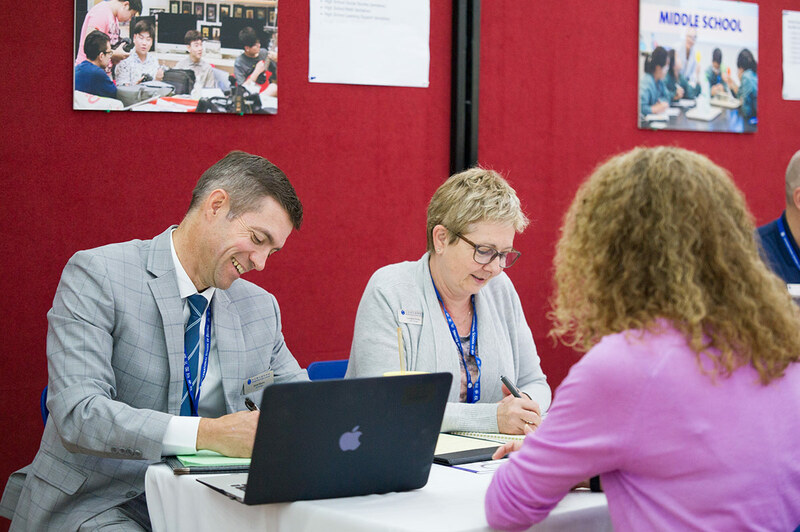 An Information Fair offered advice on the school's coaching program and professional development opportunities, as well as on the practicalities of working in Beijing. Students led campus tours supported by Admissions personnel, and Human Resources Director Mimi Lee gave a presentation on how to look for a job at an international school. ISB was mainly recruiting for staff for the 2019-2020 academic year, but also to identify candidates who may be a good fit for other openings. Ms. Lee explained how a fair is an effective means of recruiting. To filter the best-qualified and most talented candidates, there is screening of CVs before the fair, as well as at the event – in a process she compared to speed dating because it involves people presenting themselves to lots of potential suitors face to face and having their credentials assessed on the spot. "There may be candidates who emerge as big enough rock stars that a principal will say, 'I want to sign you right now,'" Ms. Lee said. But if candidates didn't walk away with a job offer, it will still have been a valuable experience for them and for the school in making contact with them, she stressed. "We want to make clear that ISB is warm and welcoming. Our intentions are to help build careers." ISB hosting its own recruitment fair is an innovative way of finding talent in response to a changing jobs marketplace. The school's HR director said, "We spend so much time attending overseas recruitment fairs, which takes a lot of energy and resources, and we wonder, 'Was it worth it to have missed all that time away from school, when the majority of recruiting happens through direct referrals and, increasingly, locally?' So we decided, 'Why not hold our own local job fair?' We know that the interest is out there locally." Ms. Lee said she hoped this innovation also set a good example for students – "It makes clear that our school is looking outwards and seeing how we can do things differently. This in itself is modeling to our community that ISB is always trying new things. We're not afraid to take risks." Applicants who attended the fair were glad they came. One candidate who described herself as an international third-culture kid said, "I really enjoyed the fair. I had a great tour guide who took us around and explained the different learning environments. 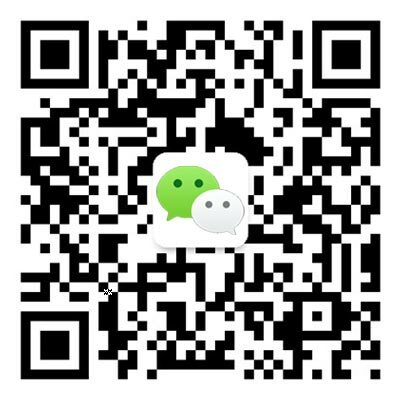 I was especially impressed by the dual-language classrooms and the different resources that ISB has for Chinese and English." An American already in Beijing teaching chemistry said, "I'm not here to interview per se, but to get a sense of ISB's values, meet people and better understand the international teaching network. My first impression is that ISB is a very valued player in the international school community. My second impression is that everybody is so friendly! The staff are clearly very happy here and invested in their students and the subjects they teach."